One warm, sunny October day in the mid-1990’s, I fell in love with Washington Island. I was in Jo Campbell-Amsler’s willow backpack class at Sievers, and we left the studio to weave at what is now called Percy Johnson Park. Now I take my own students there when I teach a Sievers class called Local Color. 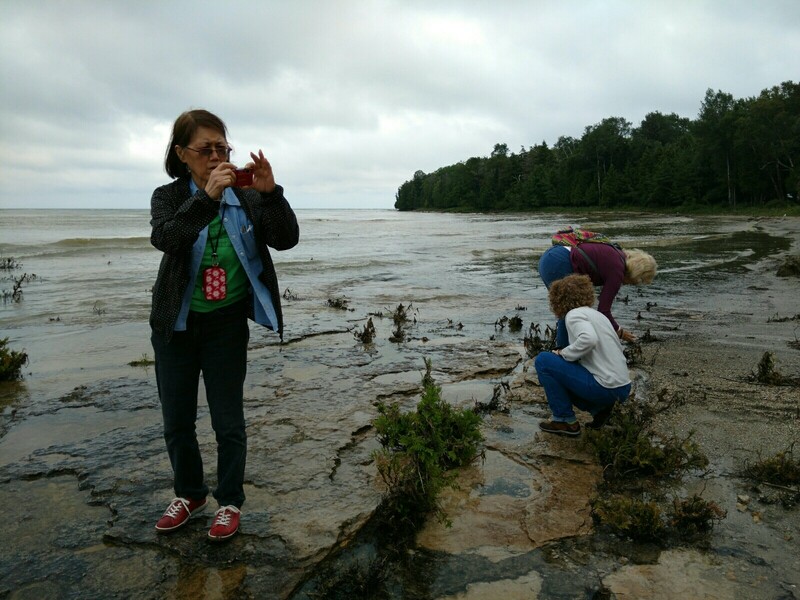 The class combines field trips, natural dyeing, photography and digital imaging, and printing and embellishing images on fabric and transfers. 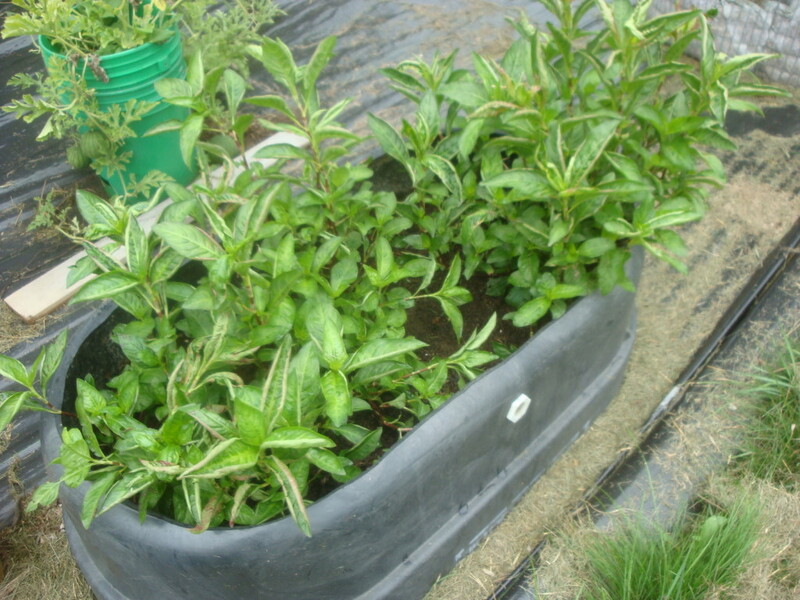 Last year I grew Japanese indigo successfully in a recycled horse trough with the bottom cut out. 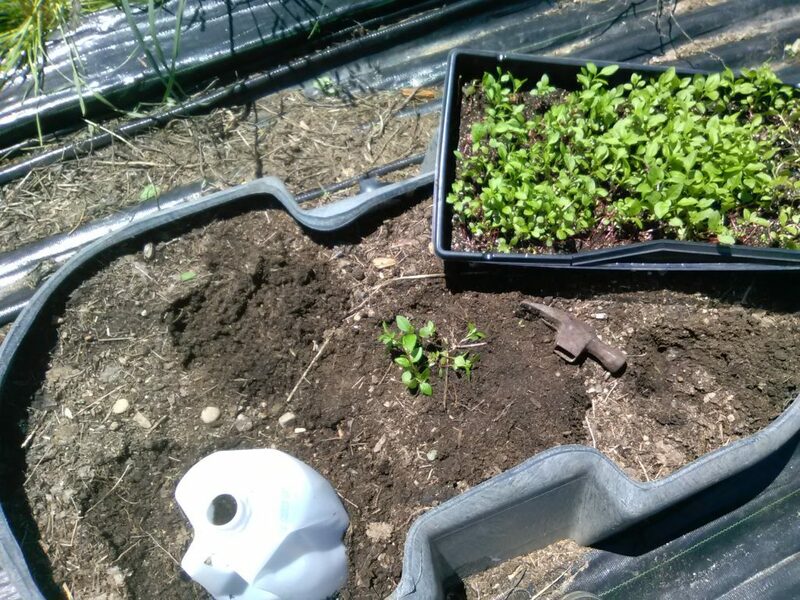 This year, to plant my expanded crop, I’m also trying three more container growing options. 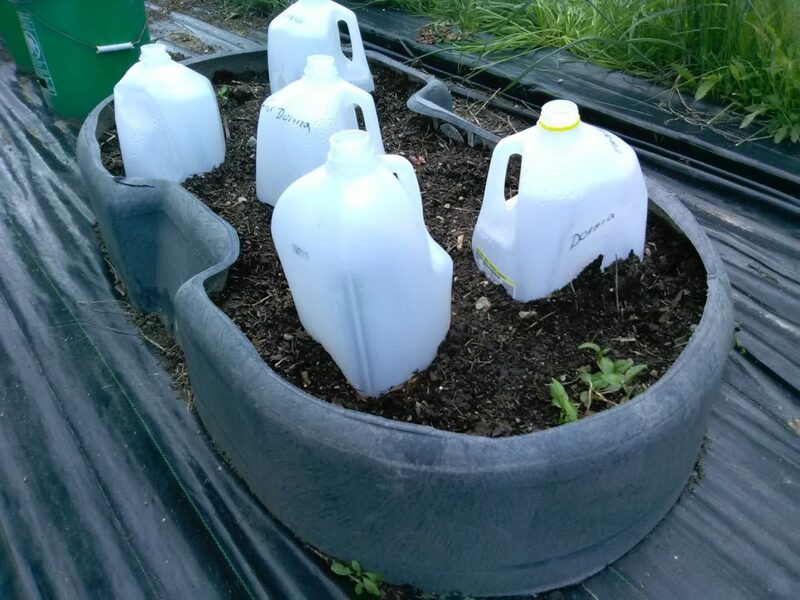 Each year, Bill and I try a few new container experiments for growing vegetables. Last year we raised potatoes, sunchokes and basil in wire cages made from hardware cloth. We lined the cages with a thick layer of dry leaves. 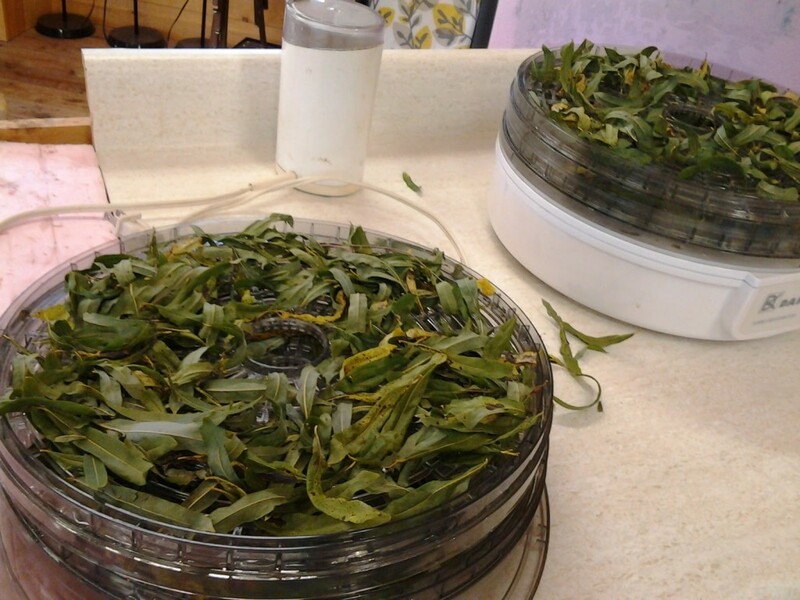 (We found a ring of plastic cut from an old barrel makes it easy to pack leaves up the sides of the container.) Then we fill the center with a mix of soil and compost. This year, one of those bins is planted with indigo seedlings. The more I learn, the more I want to know. So here is my latest willow bark natural dye experiment. Last year I wrote about the alkaline extraction method I’ve been using. This year, I want to see how shredding the bark changes the results I get. So this afternoon I started two jars. 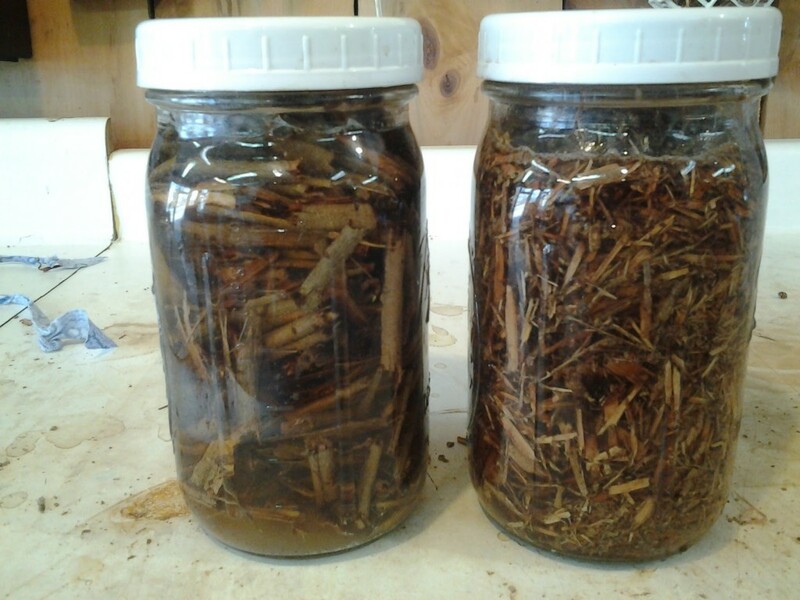 The jar on the left is filled with bark broken by hand the way I’ve been doing it. 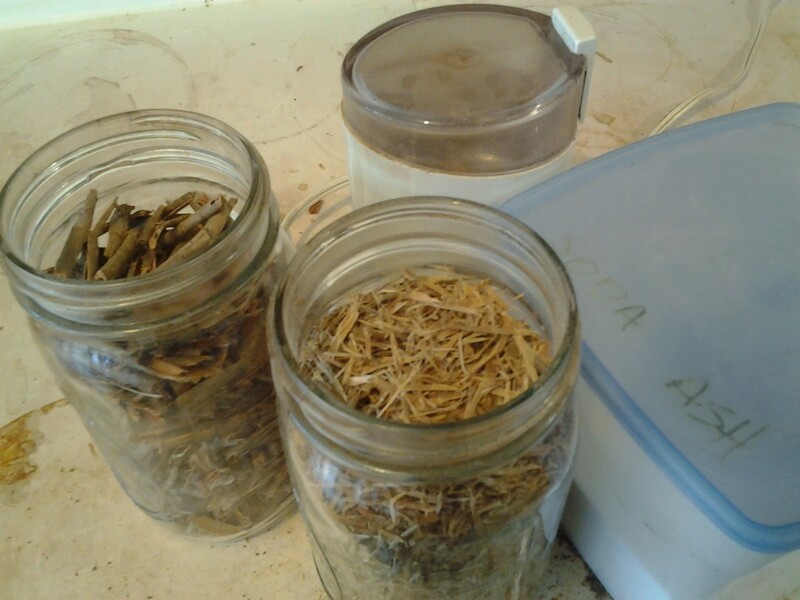 For the jar on the right, I took the added step of shredding the bark in the coffee grinder. Last year was my first effort at growing Japanese indigo in northern Wisconsin. That’s if you don’t count the year before, when I threw a few seeds at a small patch of bare dirt sometime in June. Nothing Jack And The Beanstalk-y happened then. But a little more effort produced magic in 2015. So it’s normal to want more in 2016, right? 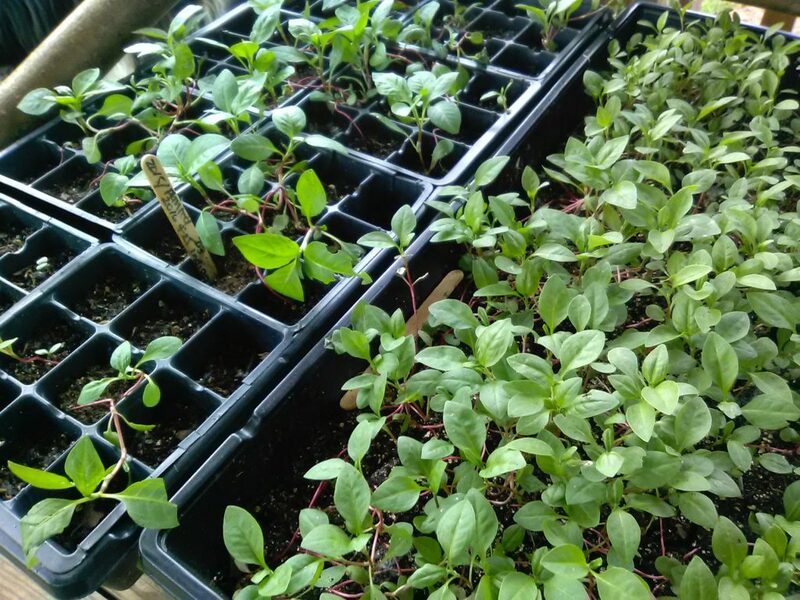 Since the seed is a bit pricey, I was hoping to save seed from the plants I grew last summer. 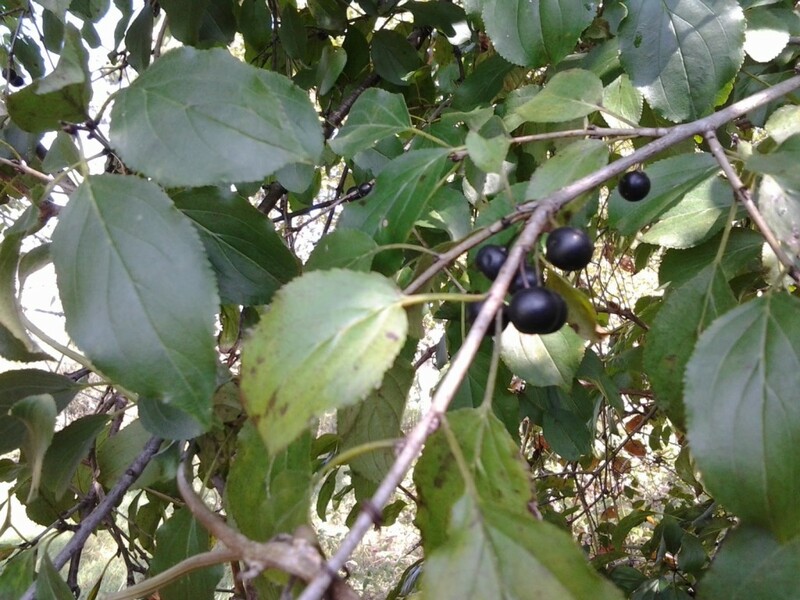 But they got a late start (are you sensing a theme here), and we have a short growing season. Lately, I’ve moved a few underused appliances out of the kitchen and into the studio. And I’m kicking myself for waiting this long. If there’s something even better than having a burner for everyone and a floor where spills don’t matter, it’s a big patch of dye materials right out the back door and great companions while harvesting, brewing and learning. 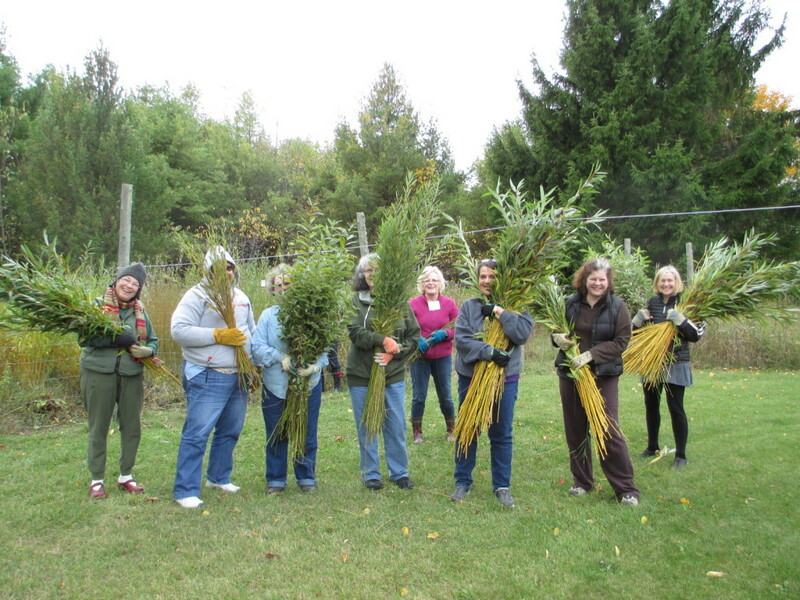 Students in the Natural Dye Retreat at Sievers started their week by cutting material from the willow patch on campus. 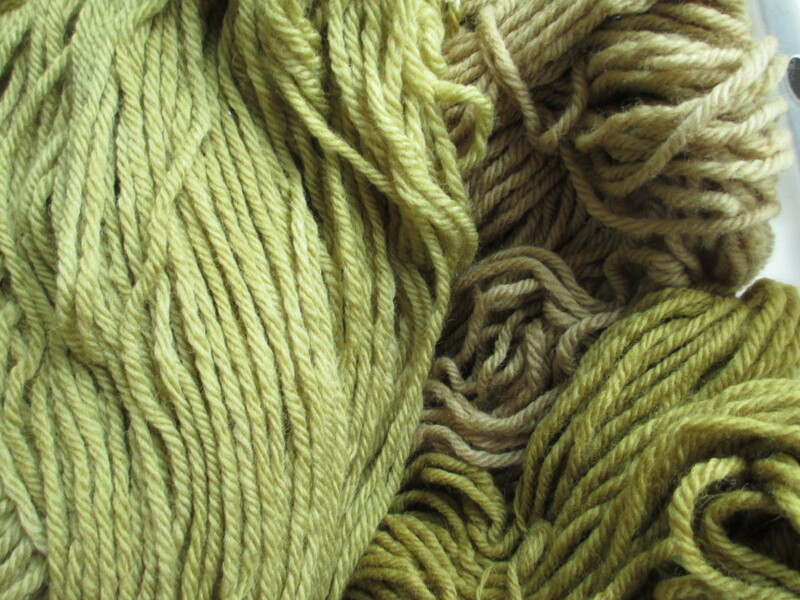 It’s beautiful material for dyeing as well as for basketmaking. 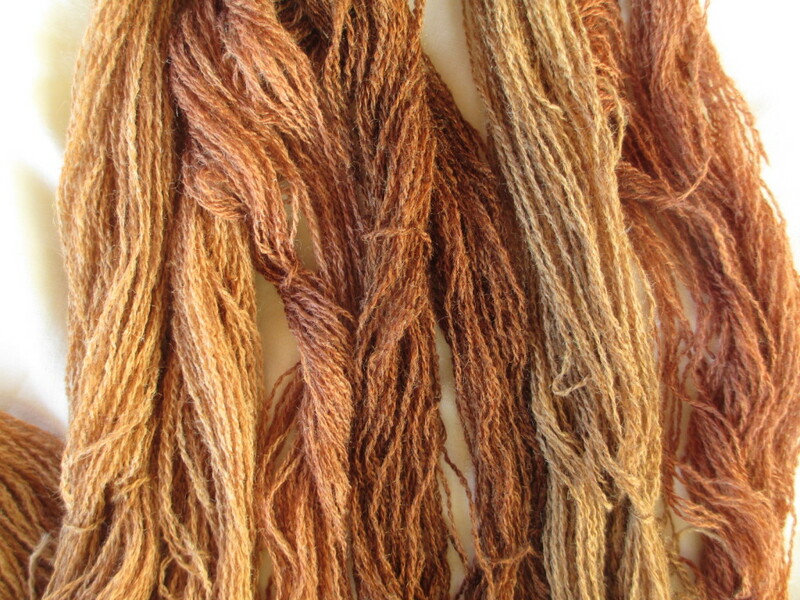 I’ll write more about the specifics of willow dyeing soon (I haven’t forgotten, Frances!). But for now, here’s a picture of a wool-silk yarn dyed with willow leaves (salix alba vitellina) and modifiers from a demo I did while the fresh-leaf Japanese indigo pot was heating.